Designing Worlds pays a visit to the art extravaganza of Burn 2! 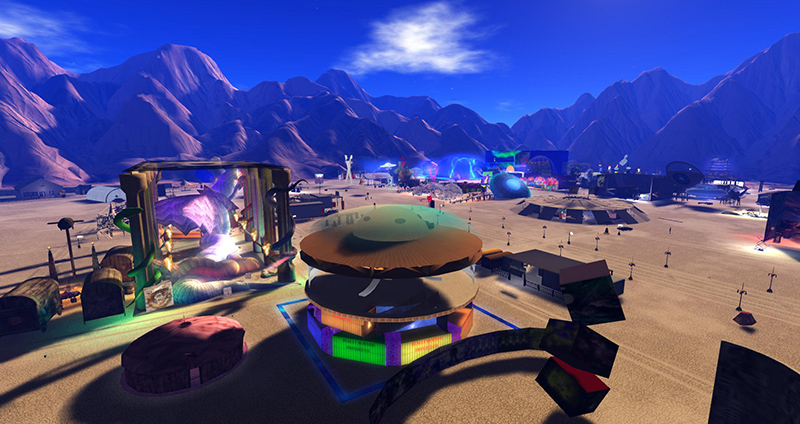 Our special edition of Designing Worlds for from Burn2 – the only virtual regional Burning Man event in the world – is now available on the web! We talk to Taralyn Gravois, one of the organisers of the event, and also to artists who created some of the amazing installations, including Toady Nakamura, Lauren Thibaud, Ub Yifu and Krystali Rabeni – as well as meeting some of the people who worked to create the communal installations – the Temple and, of course, the Man. It all makes for a stunning show – make sure that you don’t miss it!